The Independent Games Festival is due to hold its’ 13th annual awards ceremony in the Spring of 2011. The IGF is a mainstay of the gaming calendar, and in the words of Kyle Gabler (World of Goo) ”is the biggest showcase for indie games”. Religion has provided the inspiration and subject matter for countless books, films and plays for many years, and continues to do so to this day. It makes fundamental claims about philosophy and ethics that have attracted fervent criticism and praise in almost every form and from almost every possible direction in recent years. So with all this in mind, why have we not seen more games that deal directly with the issues surrounding faith and religious belief? Well aside from the fact that, for reasons beyond my comprehension, it is somewhat of a taboo to openly criticise religion intellectually or artistically (an immunity that all other forms of discourse are completely free from), the last ten or so years have shown that mainstream developers will invariably get bombarded with complaints and criticism that is mostly generated by an extremely vocal and hostile minority claiming to represent the views of people of faith worldwide, should they attempt to do so. The ensuing controversy results in developers being forced to tip-toe their way around issues surrounding faith or even avoid engagement with them at all, out of a needless fear of causing ‘offence’. The makers of Hitman 2, for instance, were forced to rerelease an altered version of the game after the original sparked controversy over a level in which Sikh guards were being killed within a depiction of the Harmandir Sahib, a Sikh holy site. More recently, Resistance: Fall of Man was protested by the Church of England for including a gun battle in Manchester Cathedral. 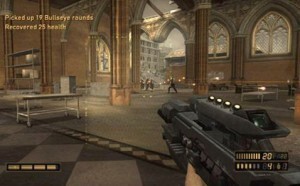 Legal threats were levelled at Sony by the Church, who demanded a formal apology, a substantial donation and complete withdrawal of the game purely because they considered the depiction of the Cathedral to be ‘desecration’. Thankfully, Sony did not capitulate. 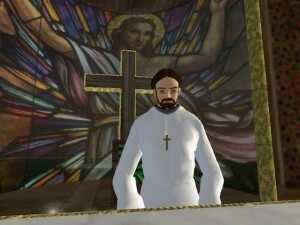 The attitude of the media at the time, however, in paying too much in the way of lip service to the ludicrous accusations and demands of the Church has somewhat neutered the industry and helped to discourage many other developers from using explicit religious imagery in their titles. If major producers are getting their wrists slapped for merely depicting religious symbols or using ‘holy sites’ as the setting for certain scenes, then the industry has no hope of engaging with religious faith on a sophisticated level in the same way as cinema or literature. Of course these kinds of themes and materials must be dealt with appropriately, and abominations like Ethnic Cleansing and Muslim Massacre only end up contributing to the stigma that games can’t deal with them seriously and objectively. Equally damaging, however, are the ‘religious-games developers’ who attempt to force gratuitous religious messages into their games and essentially proselytise their audience, which merely serves to attract ridicule and ultimately deter other developers from even trying to engage critically with faith. 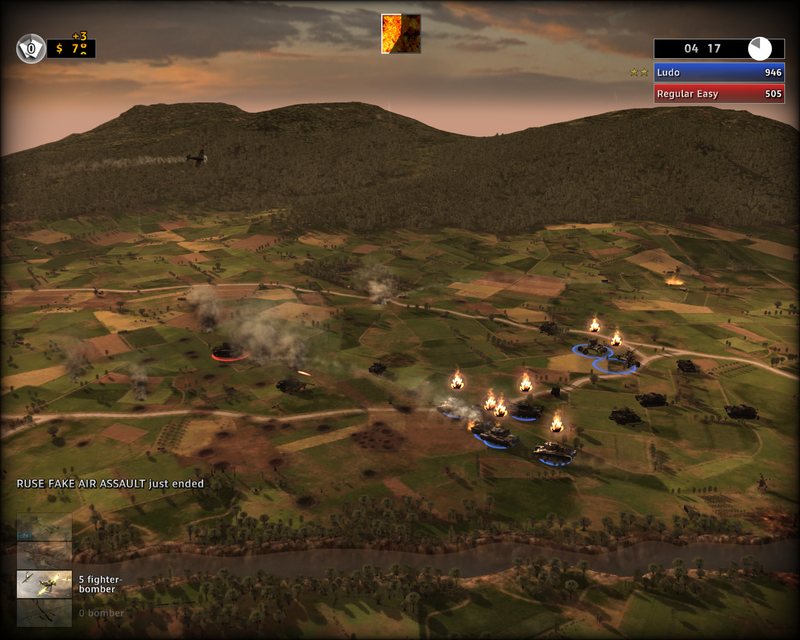 TwoGuysSoftware’s (now known as XcrucifiX) Eternal War: Shadows of Light, for example, is just a poorly disguised recruitment drive that has a deviously brainwashy feel to it. The attempt to involve religion more directly does deserve some credit, but when implemented with such an overtly Christian agenda it not only detracts from the level of enjoyment possible but serves to alienate the mass audience, who are largely unconcerned with the bogus moral values of religion being snuck into their gaming experience. Where is the middle ground then? On the one hand you have some peripheral developers placing religion at the centre of the experience and essentially creating interactive propaganda, and on the other there are the mainstream developers who are terribly afraid of overtly trespassing on religious subject matter out of fear of incurring a lawsuit. Clearly there is not a market for the former, but there is a serious deficiency in the mainstream industry of genuinely creative, objective and dispassionate exploration of religious issues and the problems they have caused and still cause in today’s world. Assassin’s Creed is a case in point. Although most would argue that the Crusades were considerably political or territorial in nature, I found it frustrating how the extraordinarily fundamental role of religion in the conflict and its pervasive presence in medieval society was forcibly pushed into the background as to be almost indiscernible. This was particularly damaging for a game which was specifically criticised for its lack of depth and the unconvincing nature of the world it created. 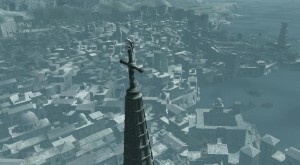 Had the developers reflected in the game how religiously charged society was in the 12th century and not treated the issue so sensitively it would have gone some way to alleviating this and adding a certain level of believability to their depictions of Damascus, Acre and Jerusalem, which were, at the time, religious centres of the world. With the political, ethical and metaphysical issues surrounding religion becoming more salient since the 9/11 bombings and the rise of ‘New Atheism’, developers are going to find themselves increasingly constrained in the kinds of contemporary issues they are able to engage with creatively if such a hugely significant subject remains untouchable. We have come a long way from the early 90s, where a game with even the slightest religious reference was heavily censored, but until religion is placed back on the table of rational discourse and criticism, video games as a creative medium will continue to be taken less seriously than other forms of entertainment. Authors and filmmakers seem to have a lot more courage when it comes to critically and objectively examining religion and if games developers can follow the example set by people like Salman Rushdie, Geert Wilders or Kevin Smith, it will just be a matter of time before the gaming medium will grow to a similar level of maturity and sophistication, which it undoubtedly has the potential for. Friend of The Reticule Glenn Lawrence was down at Eurogamer London this past weekend, he had the chance to meet up with Valve’s Chet Faliszek to talk about all manner of Left 4 Dead topics. Here we go! It’s hard to pick a tone when talking about Batman, in any capacity. You can go the camp, Adam West route and just poke fun at the absurdity of a guy who wears his pants on the wrong way around. You can go for the more serious, realistic approach of the recent films, where Batman is just about plausible, if one man had more money than God and just happened to have access to a military grade research and development team. Or you can go for the brooding darkness of the 90s, where we had Year One and the Animated Series, where you were never truly sure whether Batman was all that different from the criminals he was going up against. I mean, he’s got that one rule, but surely that’s not enough of a difference between hero and villain? Then again, you could just waffle on about how Batman is difficult to talk about because he’s been such an icon for the past half century, and avoid the issue completely. It’s all exposition, really, because Batman: Arkham Asylum is its own entity. The closest point of reference is the Animated series of the 90s, mainly because much of the cast and crew reprise their roles. But it’s a darker, grittier version of those characters, updated and elaborated on now that they don’t have a Saturday morning time slot to worry about. Cleavage comes out, the Joker moves from playful crook into fully fledged violent lunacy, and everyone gets a great big injection of steroids into their jugular. The real difficulty with writing this is to pick what not to talk about. There is so much going on in Arkham Aslyum that it’s almost criminal to ignore any particular facet. To make a quick example, the art direction is excellent, providing grimy corridors mixed with a clinical cleanliness, which just makes it all the more creepy. It’s gothic against modern, with gargoyles and lift shafts scattered all over. Even with six packs and biceps coming out of it’s eyes, Batman manages to stay mostly stylish and stylised without resorting to such tropes and cell shading and the like. And that’s just one aspect. It’s not one of the main mechanics Batman relies on, but it’s certainly enough to make a difference. Much like the music, which is a gorgeous blend of the classic brooding horns that have so characterised Batman in the past, and some of the best motifs of Hans Zimmer and John Howard’s score for the recent films, without ever copying them. It’s a game that’s greater than the sum of all it’s parts, and when each part is so well crafted, that’s high praise. There are two main touchstones that any review of Batman is going to have to touch upon, as they’re the mainstay of the game, a solid core running the whole way through. The first is the combat, which is both elegant and brutal, meaty yet fluid, and one of the most intuitive systems I’ve come across. There are three combat buttons for hit, counter and stun, although for the most part it’s just hit and counter you’ll be dealing with. Someone is about to hit you? Press counter, and Batman will deftly grab or dodge the blow, reversing it on the enemy as you pummel him to the ground. Build a combo and you’re rewarded with finishing moves, most of which end with some sort of painful bone breakage, before moving onto the next opponent. It’s an astonishing feat. Analysing it from a technical standpoint, the sheer amount of different animations and angles at play here is huge, even if you see the leg grab or arm twist a few times too many, it doesn’t feel like it’s because there isn’t enough Batman can do to these poor goons; it’s just that the foot grab or hand twist are the most economical ways to dispatch of the guy. So you’re left with combat that looks efficient yet elegant, and brings you the cinematic experience that doesn’t take you away from feeling as though that’s you doing all that cool stuff. The other mainstay of the game is the stealth elements, which sort of tie into the whole ‘detective’ theme of Batman. It might be a little liberal to shoe-horn the Riddler elements into this, but it is all incorporated into Batman’s ‘Cowl Vision’, which is basically a hyper-intelligent super-imposed display that labels anything Batman can interact with or blow up, as well as giving you a handy look at all the nearby goon’s skeletal structure. This makes those bone breaks all the more grimacing. There’s a risk that the isolated stealth rooms can feel a little compartmentalised, much like the brawling arenas, but at the same time it makes sense that only a small number of Joker’s best men will have access to guns, and he’ll want them in the best locations they can be, such as choke points and high value targets. So when you come across one of those, you’ll have five or six men with automatic weapons to dispatch. As we’re often told, Batman is not superhuman, so any more than a few shots and he’ll go down just like the best of them. This means you have to use the environment against the enemy, swinging down from the rafters to knock out the isolated men, then plan a trap for the others when the come to investigate. It’s a welcome change of pace, allowing you to spend more time thinking and planning then dodging and punching. The only major hiccup in the game is the boss battles, with Poison Ivy in particular being a puzzling difficulty spike. 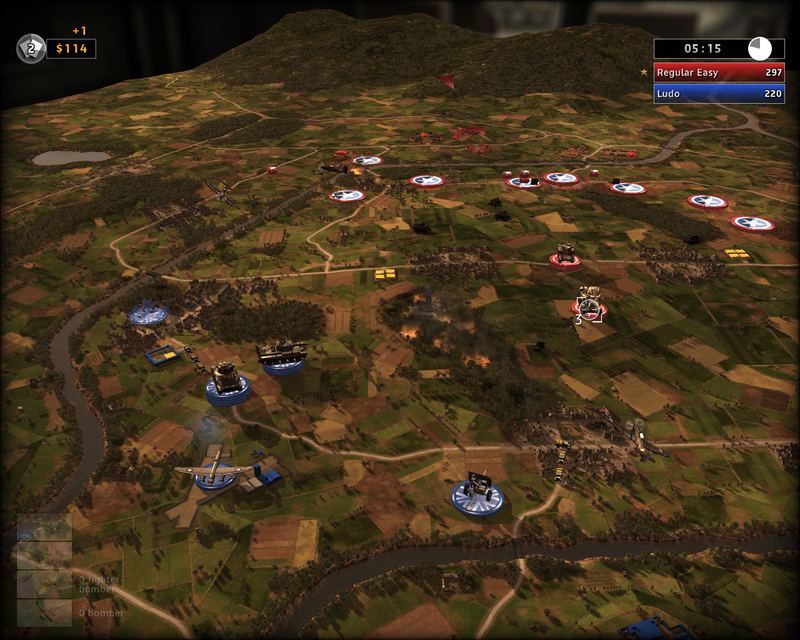 The entire game is focused around you being better than your opponents, with losing a fight not really a danger throughout. Instead it’s all about getting the biggest combo you can to maximise your damage. Against the bosses, however, this instantly gets thrown out the window, with you just chipping away at a health bar, and waiting for weak spots. They’re by no means awful, but the one boss that you don’t actively fight becomes a stand out moment because it seems like a far more ‘Batman’ way to deal with the situation; outsmarting your opponent rather than outpunching him. The game is almost a victim of its own success; it does everything else so well that when it’s not outstanding, it’s all the more noticeable. By this point it’s almost pointless to recommend Batman; word of mouth and PR campaigns have done the work for me, with nearly everyone unanimously raving about the game as the second coming of superhero games (or perhaps first coming, as there really haven’t been all that many good ones), but I still do think it’s one of the better offerings of the year so far. The plot may wander into the realms of the ludicrous occasionally, but it’s by no means bad. The tone of Arkham Asylum is outstanding throughout, and the game mechanics, from the combat to the assortment of Bat-tools in your utility belt, all work wonderfully. There’s so much that’s been glossed over, from the way your costume deteriorates as the night goes on, to some of the more interesting elements of the Riddler’s problems, but most of the fun in those is found through playing, rather than telling. What you need to know is that it’s certainly worth your money, and more than worth your time.